A 43-year-old Chicago woman received vindication in April when a jury awarded her $14 million in damages after she suffered a stroke six years earlier, at the age of 37, within two weeks of taking the birth control pill Yasmin. (or “Yaz”). The Yasmin birth control lawsuit is the latest in a string of complaints incriminating the popular drug that, thanks to allegations that it causes serious, often fatal blood clotting and other side effects, is now somewhat notorious. 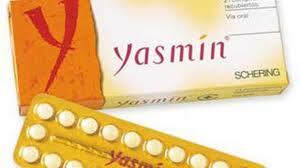 Mariola Zapalski was prescribed Yasmin in 2007 for irregular bleeding. Just 13 days later, a stroke rendered Zapalski wheelchair bound and unable to communicate well, her whole left side paralyzed. The Yasmin lawsuit is the latest implicating the popular birth control pill for causing strokes and serious, potentially fatal blood clots, among them pulmonary embolism (clotting in the lungs), deep vein thrombosis (clotting in the legs), cerebral embolism (a clot that travels to the brain causing a stroke), retinal thrombosis (clotting in the eye, causing blindness) and myocardial infarction (or heart attack). In 2011 the federal Food and Drug Administration (FDA) chose to update its warning label on Yaz based on studies showing the newer oral contraceptive posed higher risks for blood clotting—sometimes threefold greater— than older contraceptives. Before her Yasmin-related stroke, Zapalski used to take walks with her husband and enjoyed decorating their Elmwood Park, Chicago home. The Zapalskis originally came to the U.S. from Poland “for a better life,” according to Rafal Zapalski, and had sought out the doctor who prescribed them Yasmin because he (the doctor) was also Polish. Dr. Zbigniew Aniol, the defendant in the case, had prescribed Yasmin to Zapalski despite the risk factors: Zapalski was over age 35 and had hypertension.